Humans are not really considered apex predators because there are several animals that can and sometimes will prey on us. But even the wildest of these animals don’t just go around hunting us, and most prefer to keep their distance. However, this was not always the situation. For much of our evolutionary history, we were on the menus of quite a few predators. Early humans, hominins, and ancient primates, including ancestors of we Homo sapiens, bore the brunt of the vicious appetites of several wild animals that regularly hunted them for food. Saber-toothed cats did not hesitate to munch down on early humans whenever they got the opportunity. In 2015, scientists recovered 300,000-year-old tooth and bone fossils from two saber-toothed cats in Schoningen, Germany. Tests revealed that a member of Homo heidelbergensis, a probable ancestor to the modern human, used one of the bones as a hammer. Homo heidelbergensis was a good hunter. They used wooden spears and were capable of taking down large prey, including rhinos, bison, and giant deer. However, they wisely steered clear of the saber-toothed cat and only killed it in self-defense. 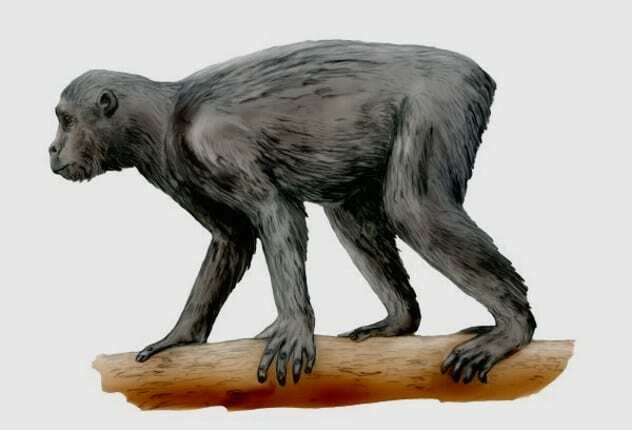 Another discovery from the Djurab Desert in Chad revealed that Sahelanthropus tchadensis, a much older possible ancestor of humans and chimpanzees that lived between 6.5 and 7.5 million years ago, lived in close proximity to at least three species of saber-toothed cats, including the huge Machairodus kabir. M. kabir weighed between 350 and 490 kilograms (770–1,018 lb). For comparison, the biggest tigers around today weigh up to 300 kilograms (660 lb). The fossil of the S. tchadensis was found among those of several animals, including crocodiles, monkeys, horses, hyenas, and honey badgers. 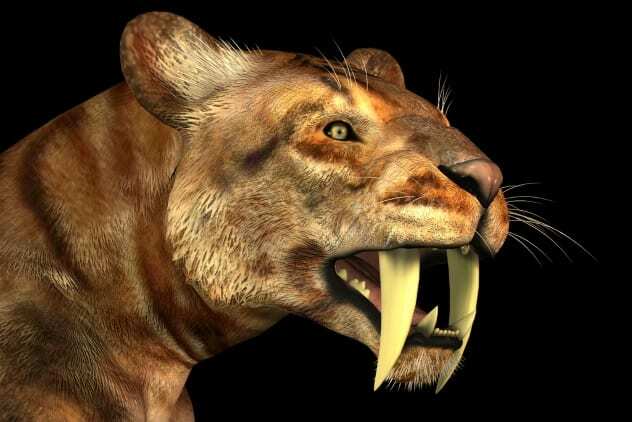 Historians believe the saber-toothed cat hunted S. tchadensis as it did the other animals. Maori folklore mentions the existence of a huge bird that hunted and ate human babies centuries ago. The Maori called the bird Te Hokioi (or Pouakai), but scientists believe it was the Haast’s eagle. Just as the Maori said of Te Hokioi, the Haast’s eagle was capable of catching human children, and it most probably did. It wouldn’t have had much trouble killing an adult human, either. In fact, the eagle’s primary prey was the moa, a huge, extinct flightless bird that was many times its size (and bigger than a human). The Haast’s eagle was the top predator in New Zealand. It was 0.9 meters (3 ft) tall, 1.5 meters (5 ft) long, and weighed 14 kilograms (31 lb). It had a wingspan of 3 meters (9.8 ft), and its beak and talons were twice the size of those of the biggest eagle around today. 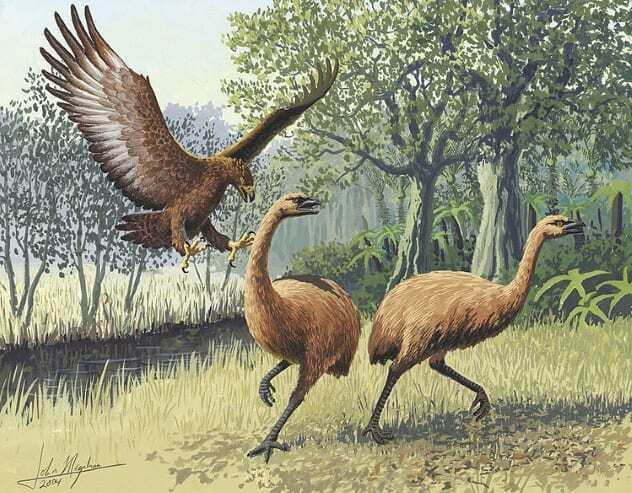 The Maori indirectly caused the extinction of the Haast’s eagle when they hunted the moa to extinction. The Haast’s eagle went extinct around 1400, since there was no prey big enough to quench its vicious hunger. Scientists discovered the first fossil of C. anthropophagus in Tananzia’s Olduvai Gorge in 2007. Homo habilis and Australopithecus boisei, two small progenitors of modern humans, lived in the gorge at the time the crocodile lived there. In fact, scientists found several fossils with crocodile bites. Historians believe the crocodile hid underwater and jumped out to catch prey that came for a drink. 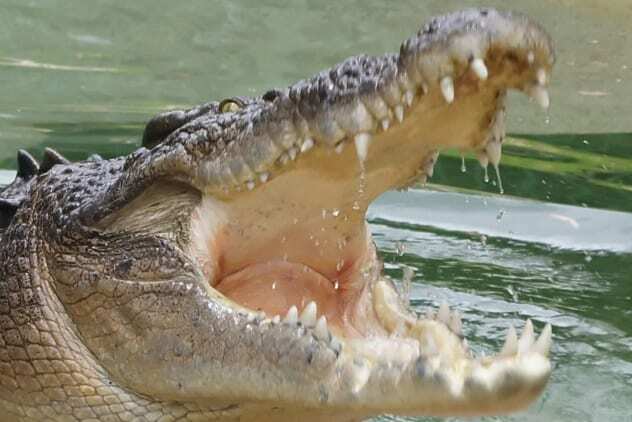 Scientists believe the crocodile considered early humans and hominins a major food source. Humans have an innate fear of snakes—a fear that determined how we evolved. Snakes and primates have been living together for 100 million years. 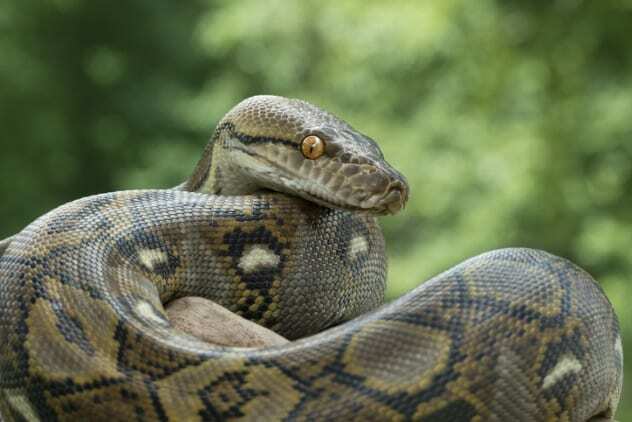 Snakes preyed on primates and considered them just another source of food. According to Lynne Isbell of the University of California, the mortal fear of ending up in a snake’s belly caused ancient primates to develop bigger brains and sharper eyes. They could already see other predators from farther distances, but snakes were more difficult to spot because they slithered on the floor. They would stealthily move close to their prey before curling around them to suffocate them to death. Early primates evolved to see color, movement, and in 3-D, which allowed them spot snakes. Around 60 million years ago, the first venomous snakes evolved; their venom was a means to defeat the improved eyesight of early primates. In return, early primates developed bigger brains to process visual information faster. Snakes and humans remain mortal enemies today, although we will all agree humans now have the upper hand. Crocodylus thorbjarnarsoni was another ancient crocodile that probably hunted early humans. It lived in Lake Turkana in Kenya between two and four million years ago. 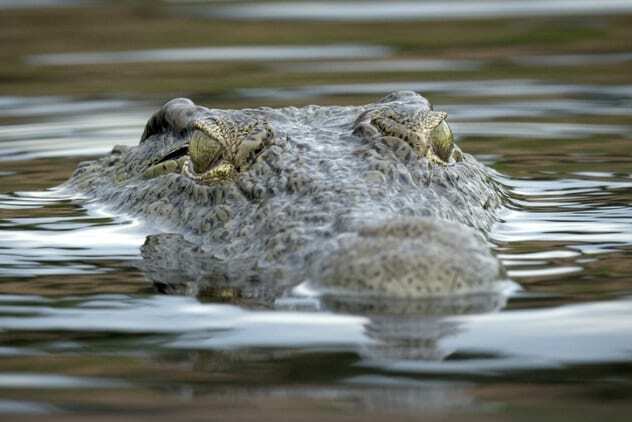 In crocodile fashion, it hid underwater, stalking every animal that came for a drink. C. thorbjarnarsoni reached a massive 8.3 meters (27.2 ft) long, making it the largest crocodile ever. For comparison, the largest crocodile we have in captivity is 6.1 meters (20.3 ft) long. Early humans also had a major disadvantage against C. thorbjarnarsoni : Size. Early humans were much smaller at the time. They grew to just 1.2 meters (4 ft) tall. This means the crocodile could swallow them whole. Historians cannot confirm for sure if the crocodile ever ate early humans, though, and it’s very unlikely they ever will. Any prey would have completely digested in the crocodile’s stomach. The cave bear (Ursus spelaeus) first appeared around 100,000 years ago and went extinct around 25,000 years ago. It was native to Europe, where it hibernated in caves in winter. Several caves are littered with the remains of the bear today. The people of the Middle Ages even mistook its fossils for dragons. The cave bear lived alongside Neanderthals until the arrival of modern humans 40,000 years ago. Both species of human shared the same caves with the bears, leading to violent confrontations. The confrontations were exclusively over habitat, since the cave bear mostly ate plants. 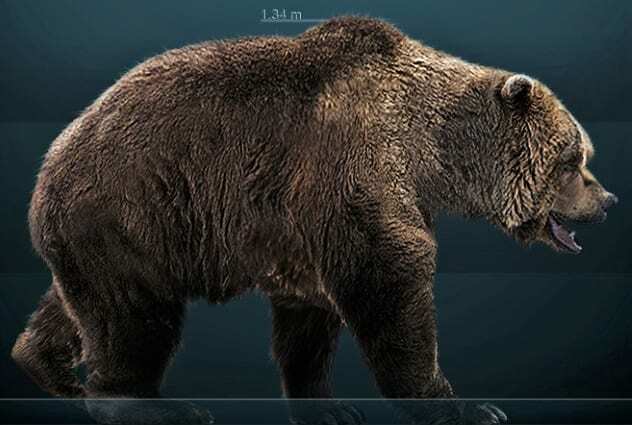 Humans did not actively hunt the bear because it was huge and dangerous. However, they hunted it when necessary. Sometimes, the bears left their caves for other ones. Other times, the humans lived in the caves in the summer and left when the bears returned to hibernate in winter. However, confrontations were unavoidable, since unaware humans could have strolled into an occupied cave, frightening the bear. In 1924, scientists unearthed a two-million-year-old fossil skull of a young Australopithecus africanus in South Africa. Scientists believe the hominin is the missing link in the evolution of man, and its discovery is the reason historians say humans originated in Africa. The fossil is called the Taung child and is believed to have been three and a half years old at the time of death. It was discovered with the fossils of several other animals, indicating they were killed by a predator. Researchers initially suspected the Taung child was killed by a saber-toothed cat or a leopard, but more careful observation of the marks on the skull point toward an unidentified eagle. The injuries on the skull resemble something that would have been the handiwork of an eagle’s talon. It also has bite marks indicative of an eagle’s beak. 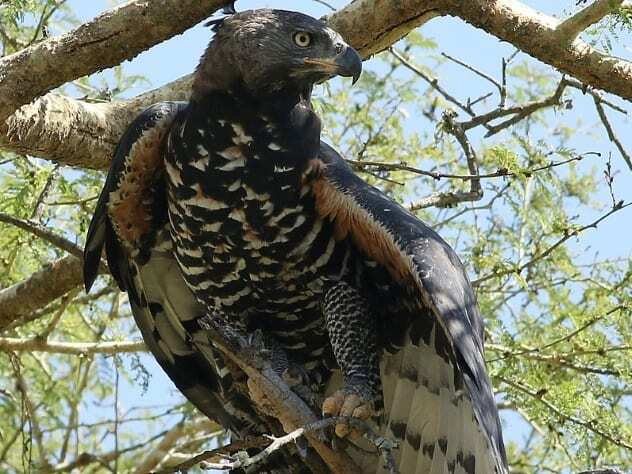 The eagle would have been a ferocious predator with features similar to the modern African crowned eagle. The marks at the end of the Taung child’s eye socket are similar to marks found on the remains of monkeys eaten by eagles. Eagles will usually use their talons and beaks to remove the eyes to reach the brain. Larger predators like the leopard and the saber-toothed cat would have just broken the skull because the sockets would have been too small. However, some scientists insist that the Taung child was eaten by a larger predator since humans would have been too big to be hunted by an eagle. But the Taung child was a toddler at the time of death, making it the same size or even smaller than the regular prey of the eagle. In fact, smaller modern eagles are known to have killed human babies. In 1994, scientists found a 500,000-year-old femur of a Homo rhodesiensis in a cave in Casablanca, Morocco. Homo rhodesiensis is a subspeices of Homo heidelbergensis, believed to be the common ancestor of Neanderthals and Homo sapiens. It wasn’t until the 21st century that scientists realized they had the fossil of an early human because the bone had been heavily broken and chewed by an extinct hyena. 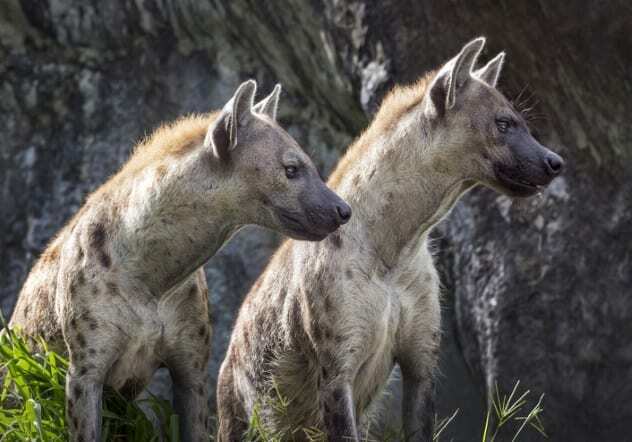 Scientists know humans and ancient hyenas lived in the cave, although they could not confirm if both lived there at the same time. While they suspect the ancient human was hunted by hyenas, they aren’t jumping into conclusions. The Homo rhodesiensis could have died of other causes, and its remains were eaten by hyenas. Homo rhodesiensis was also an excellent hunter who killed large game. They could have even hunted the hyenas. However, the hyenas were also capable of hunting them. Whatever happened 500,000 years ago, the discovery is fascinating because researchers rarely find the remains of human fossils eaten by predators. Scientists have uncovered several fossils of cannibalized Neanderthals in Europe. However, they don’t think Neanderthals regularly actively hunted their own kind for food. The calories in a human are insufficient to sustain another. A horse contains 200,000 calories, while a human contains a comparatively measly 32,000. 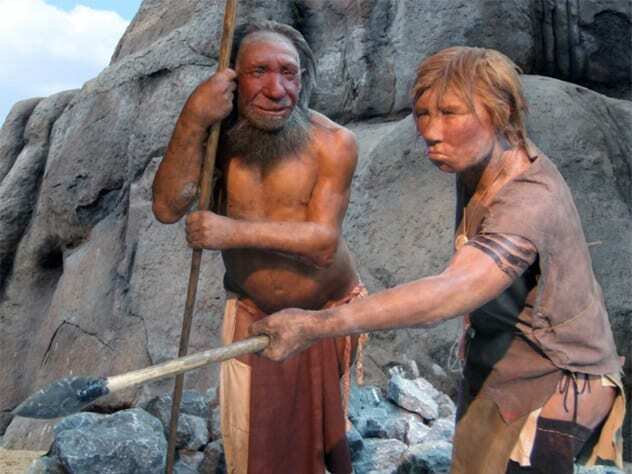 On the other hand, Neanderthals could have contained more calories due to greater muscle mass. Besides, several fossils were found together, indicating that the Neanderthals had eaten lots of other Neanderthals at a go. Scientists suspect Neanderthals killed their own because of a famine, for rituals, or in self-defense. Proconsul, one of our earliest ancestors, was food to basically anything that ate meat. The genus lived in Africa roughly 20 million years ago and is believed to be the first true ape. It is considered the common ancestor of apes and monkeys. It was between 0.9 and 1.5 meters (3–5 ft) long, weighed between 11 and 45 kilograms (25–100 lb), and did not have a tail. Proconsul looked like a monkey (aside from the lack of a tail), had the intelligence of a monkey, and walked on all fours like a monkey. It was prey to basically all carnivores—from birds to mammals. Scientists have even found several 16- to 20-million-year-old fossils that were eaten by creodonts, an extinct group of mammalian carnivores that considered Proconsul prey. Read about more instances of humans as prey on Top 10 Worst Man Eaters In History and 10 Harrowing Stories Of Man Against Animal.